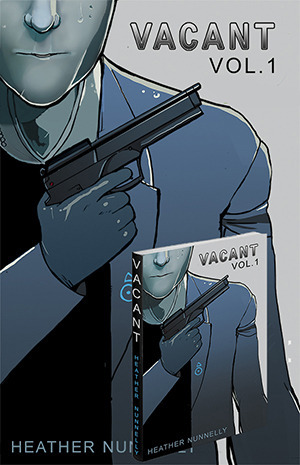 Heather and Michelle Nunnelly forgot to talk about VACANT‘s last update during thelast podcast, so they go over it in this one. After that they say thanks to all those who supported VACANT’s Kickstarter and submitted guest art. Their topic this week is: Should children read mature comics? How does it influence their behavior? Chobits and Love Hina are the two comics Michelle and Heather read when they were young, and they talk about how that impacted their lives. Michelle reads dialogue from Bakuman wondering if the author himself is sexist or if the characters are intentionally written that way. They discuss how the portrayal in some manga may send a negative message to young readers, especially those who are not mature enough to filter it out. Last, they give a quick, positive review of The Heat starring Melissa McCarthy and Sandra Bullock. Both of them recommend it if you want a good laugh.